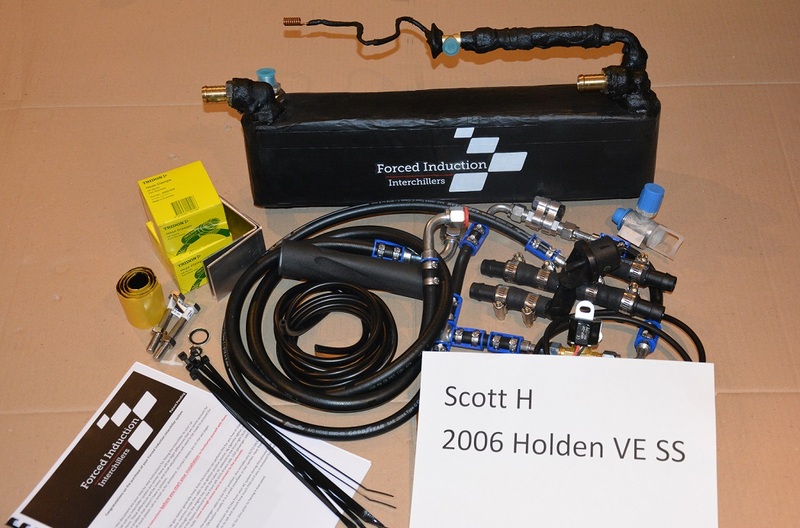 Another Forced Induction Interchiller kit, ready to be shipped out for Ashley and his HSV VF GTS. I'm very interested in the product and think the stats you have provided are truly remarkable. If this was installed in a daily driven GTS would it constantly be on? How long before you would have to re-gas the A/C or would there be nil negative impact? The chiller is on only when you have the A/C on....since we live in Australia thats all the time, we also provide a solenoid which can shut down the A/C supply to the cabin so you can dedicate all of the A/C to the chiller only or say you want to use it and not have the cabin A/C on for some reason eg all the windows are down. once the system has been reg***ed when the chiller is installed you should not need to touch it again for a normal period of time eg 10-15yrs. Systems these days are self lubricating and the gas lasts a really long time, personally I see no reason to touch it probably ever again once it has been completed. 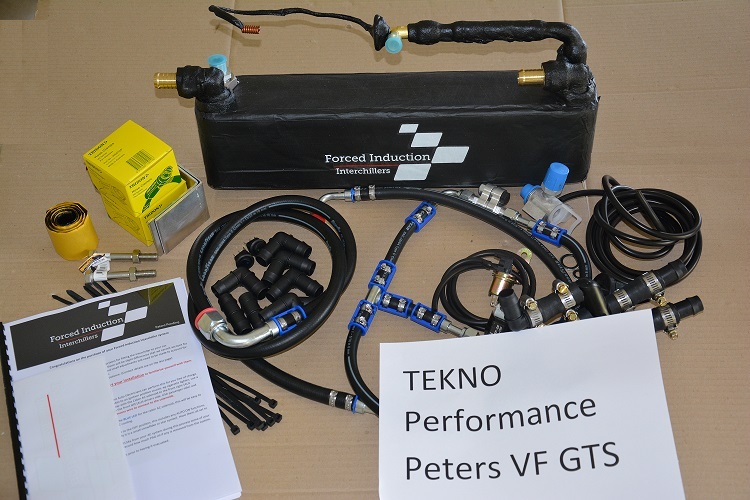 And another Forced Induction Interchiller kit, ready to be shipped out for Peter and his HSV VF GTS installed through Tekno Performance. 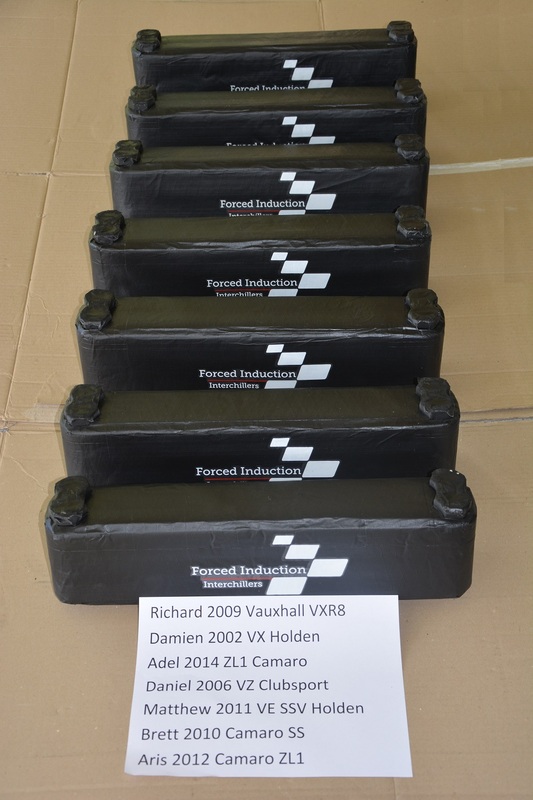 We have been so busy lately with a lot of orders for Forced Induction Interchillers. These 7 chillers are going to be ready to be shipped out very soon, for a variety of cars. Have you had anyone fit this to an E3 with a maggie blower? Would like to know how the install went and what they think of it? The Harrop FDFI is very very similar to the maggie, the results will be very similar, I also know for a fact the intake temps before a chiller has been installed are also about the same as they suffer badly. Stewie reviewed the interchiller on here his temps went from 50-60c when cruising down to 20c, we also have some ideas on how to get them even lower now with a slight modification. We have the LS1 maggie getting re-g***ed some time this week, his temps are also the same 50-60c without an interchiller. These insane temps without even going into boost is because all of the engine heat is radiating directly into the intercooler core. So when a chiller is installed it's going to make a night and day difference to how the car feels since at the moment you are likely pulling out ignition timing before you even nail it. 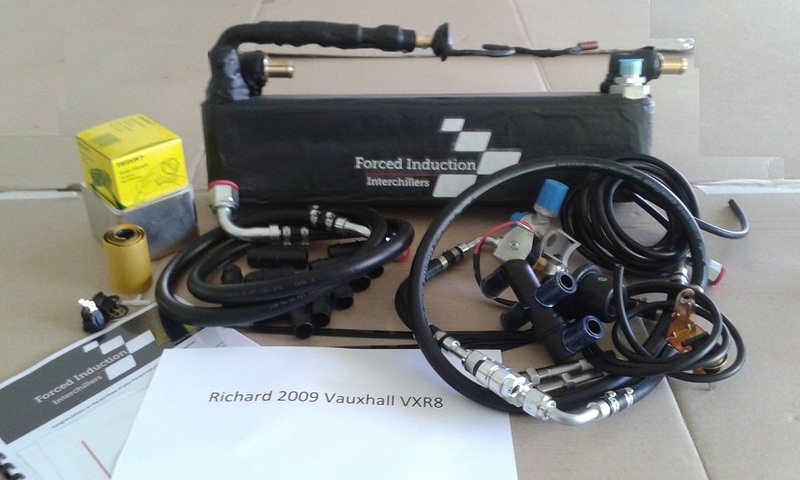 Richards Forced Induction Interchiller for his 2009 Vauxhall VXR8 being shipped out to the UK.